SAMHSA also reports that people with co-occurring disorders are more likely to have poorer treatment outcomes than people with either disorder alone. Successful treatment must address these issues concurrently. If you are suffering from mental health issues due to your meth use or addiction, or vice versa, it's time to get help. Please call 1-888-993-3112Who Answers? to find a comprehensive program that suits your needs. Be sure to ask about dual-diagnosis treatment. It is estimated that adults with a serious mental illness (e.g., major depressive disorder, bipolar disorder, schizophrenia, etc.) 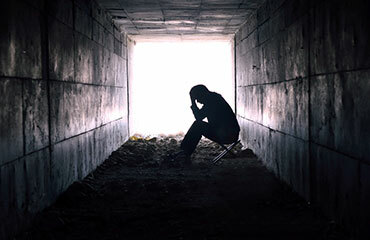 are more than eight times more likely to have a co-occurring illicit drug dependence than those without mental illness. Attempts to treat the depression without treating the meth use or vice versa are often unsuccessful. You may experience temporary relief from both disorders but a relapse in one frequently results in the relapse of the other disorder. If you have meth addiction and a co-occurring mental health issue, you need comprehensive treatment. Call 1-888-993-3112Who Answers? to assess inpatient treatment options. Don’t wait Meth dependence with a mental health condition requires treatment. You can get better. Meth users with a dually-diagnosed anxiety disorder had significantly greater odds of being hospitalized than meth users without an anxiety disorder. Further, the odds of having attempted suicide once or more during their lifetime was three times higher in those with a dual diagnosis of meth dependence and anxiety compared to those with meth dependence alone. 6. Hellem, T.L., Sung, Y.H., Pett, M.A., Latendresse, G., Morgan, J., Huber, R.S., Kuykendall, D., Lundberg, K.J. & Renshaw, P.F. (2015). Creatine as a novel treatment for depression in females using methamphetamine: A pilot study. Journal of Dual Diagnosis. Online publication retrieved from http://www.ncbi.nlm.nih.gov/pubmed/26457568. 13. Seddigh, R., Keshavarz-Akhlaghi, A.A. & Shariati, B. (2014). Treating methamphetamine-induced resistant psychosis with clozapine. Case Reports in Psychiatry, doi:10.1155/2014/845145.